Salam Toronto has been published since October 2000, and is the first ethnic publication to be elected as a board member of Ontario Community Newspapers Association (OCNA). By providing an immediate online edition every Thursday, Salam Toronto can be read from all over the world. Salam Toronto's main approach is to promote the Canadian way of life as well as optimism, acceptance, compromise, cooperation, civil responsibility, individualism and respect. To learn more about us or to join our discussions online, you can also visit our facebook and twitter pages. Mohsen Taghavi has a B.A. in Economics from the National University of Iran – 1976 and an M.A. in Public Administration from the University of Southern California – 1979. A professional journalist with over 34 years of experience, Mohsen Taghavi has worked as an editor with the major dailies in Iran including Ittela’at Daily, Hamshahri Daily, and Akhbar Daily, from 1980 to 1997. He migrated to Canada in 1997 and settled in the Toronto area. After working with other ethnic publications, he moved on to launch Canada’s first Persian-English weekly, Salam Toronto Weekly, in 2000. In June of 2002, in a ceremony attended by Foreign Affair Minister, Mr. Bill Graham, Mohsen received the Canadian Ethnic Journalists’ and Writers’ Club Award for his editorial ‘Thank You Toronto’ encouraging the city’s continued participation in Olympic bidding. Some of Mohsen’s editorials are available in the editorial section on this website. 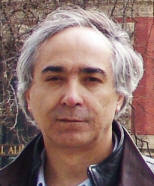 On March 31, 2007, the Ontario Community Newspapers Association (OCNA) elected Mohsen Taghavi as a Board Member. Taghavi is the only OCNA Board Member representing a newspaper published in a language other than English or French. On October 29th, 2007, the National Ethnic Press and Media Council of Canada named Mohsen "Honoris Causa", granting him the distinction of being named as an Honourary Member of the board of directors with the Council. In addition, he was granted a medal for distinguished services provided to the arts and other industries, as well as for promoting equality and respect for human rights and values, and fostering understanding among various cultural groups. On May 22nd, 2008, York Regional Police named Salam Toronto's feature story on Community-Police relations by Sallya Aleboyeh as its "Best Feature story of the Year - in Print". The story emphasized the need for Iranian Canadians to develop open lines of communication with Officers and to report any instances of injustice. Articles consisting of the author's name may not necessarily reflect the view of Salam Toronto and thus are the responsibility of the author. Salam Toronto holds all rights in editing submitted articles. The use of any published article/graphic/advertisement content for any purpose requires a written permission prepared by Salam Toronto. Salam Toronto bears no responsibility for the contents and style of any advertising material. Salam Toronto reserves the right to revise or reject any advertisement which it deems objectionable in text or illustration, or detrimental to its business. نقل مندرجات سلام تورنتو فقط با ذکر ماخذ آزاد است.